This is a very original homage to Hollywood’s history. A retro-sci-fi set in the 1940’s and made to look like it was made in the 1940’s with today’s technology. 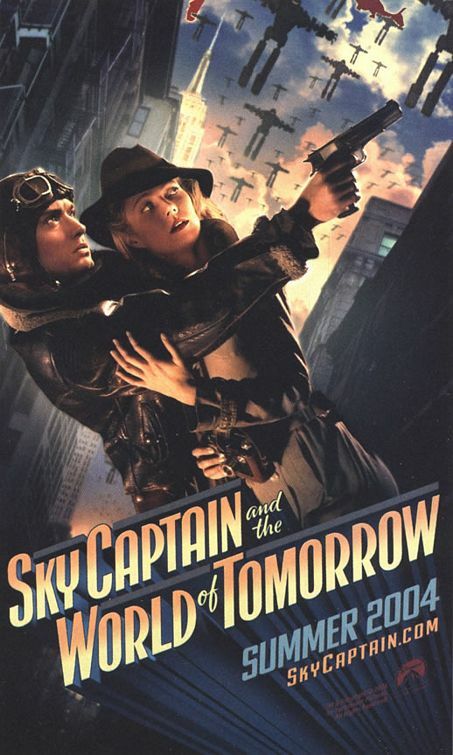 The film was shot entirely in front of blue screens with all the actors being real and the locations and robots being computer animated later. The film was then set to black and white and colorized. It’s the story of a spunky female reporter and a dashing pilot as they fight giant robots and try to discover where the robots come from and how they are linked to the disappearance and apparent murder of seven significant scientists. The Cast includes Jude Law, Gwyneth Paltrow, Angelina Jolie, and even a computer enhanced cameo by the late Sir Laurence Olivier. The film even shows you a bit of “The Wizard of Oz” in the beginning, and then makes clever reference to Wizard in the end. This is a lot of fun. The stylized “sets” and creatures are fascinating The film is a bit slower than your standard action adventure but this adds to the feel that your watching film from the 40’s with the older pacing. Be that as it is, a rather amazing film from the 40’s. 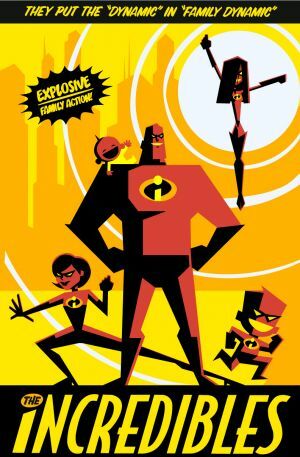 Thought the younger audience may not appreciate the “retro” part, I think the visuals and story will keep them hooked. Still we have sci-fi violence, death, some sexual references, and the Lord’s name being taken in vain several times. You can check www.ScreenIt.com for a complete break down of elements shown on the screen. These “Robots” are man made, not alien, which cuts down on a lot of the “sci-fi” issues. Still, Sky Captain and reporter Polly Perkins have an odd relationship that involves deception and cheating. The more elaborate Biblical story reference is the ending. (So don’t read this part if you don’t want me to spoil it for you) The robots have been collecting parts for a rocket ship and two of every kind of animal so that, with two vials named Adam and Eve, The evil Dr. Totenkopf can start civilization over in space. The rocket will also destroy the world by setting fire to the atmosphere after launching. There is a quick line pointing out that the Dr. is “Playing God”. As a fun film I would recommend this very original movie and I do look forward to this first time writer/director’s next project. Still, the spiritual issues are very weird. There is not enough either way to recommend or not recommend this film. (Much like the films of the 40’s.) I think I would just say “be mindful of this film.” If you are going to enjoy Sky Captain with your family, you may want to discuss the idea of letting “God be God” as well as issues about relationships afterward.